The behavior of God in Eden is most peculiar. 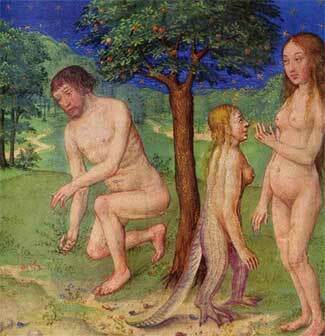 Eden is the pivotal moment in earth's history because what happened there set the stage for future events. It also gave an opportunity for someone to take over, educate and develop the human race for their own purposes. The above passage tells us that it was "the LORD God" who told mankind NOT to eat of the fruit which is symbolic for knowledge. Why should learning that information be a sin? Why is the withholding of knowledge consistent with the way modern government withholds information? The withholding of information is evil, is it not? Evil cannot succeed without deception. This is why it uses the "good works" organization of Freemasonry to hide behind. It uses Freemasonry to control the world as proclaimed in the bible. If you monitored the United States Government, you would have noticed its behavior exhibits the same as by "God" in Eden. There is no difference between the two! They came here along time ago and have been with us all through time. Many times in the past the United States government has both lied to and has withheld information from the people. It has violated human rights laws as well. These traits match that of "God" in Eden. My arguments are both sensible and logical. There is undeniable evidence which proves that earth is set up to empower those who control it and that they have evil intentions towards the human race. In studying the rest of the contents of this site you will realize that there is no difference between those who were spreading lies and withholding information in Eden and those who run modern government. The idea behind world control is slavery. The bible says the Adam was created to work for God. This isn't the same God which is Christ's Father either. It was the ELOHIM. It doesn't take much to control an entire world especially when you had control of everybody's education since the very beginning. The "original sin" was created to keep us away from knowledge, . . .